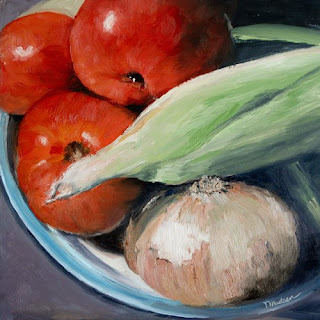 This painting is my entry for the DSFDF challenge "Summer Vegetables". I haven't done many still life's but I have to say this was a joy to paint! Love this Teresa...your tomatoes look fresh from the garden! Beautiful job, Teresa - I really like the way you cropped it. Rich, luscious colors, especially in the tomatoes. Beautiful! 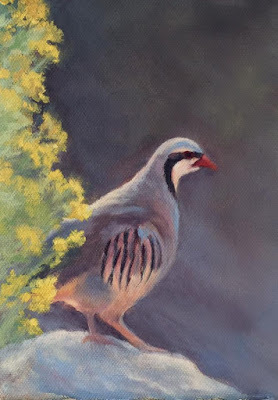 Very nice painting, vivid, with a good cropping! and i like your 2 sisters, too. Absolutely brilliant, Teresa! Wow!!! fantastic composition. gorgeous color. wow again!! Great job, Teresa! Wonderful color and crop. I like your veggies, they look fantastic!!! and it is really a nice image. Nice cropping, nice brushwork, colors... vibrant tomatoes. WOW! Thank you all so very much for the compliments! :O) I appreciate hearing from you! Well look at you go girl!! This is Amazing!! Lovely Cropping to Zoom into the rich part you've painted here! I agree with all here, great crop and rich colors. Well done, I think you should do more still lifes. Great job on this Theresa, these veggies are beautiful.